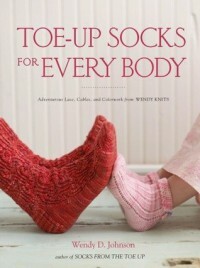 When I get around to trying socks, I will use this book. When I try toe up socks. I love all the patterns in this book. My only complaint is that there are not great instructions for a toe up beginner. And I'd like to use my DPNs, not circular knitting needles, but all the instructions are for circular needles.